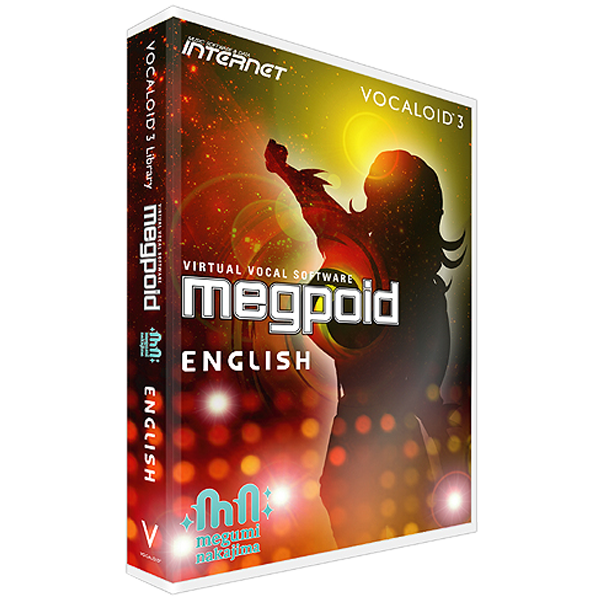 Megpoid English is the virtual vocal software based on the voice of Megumi Nakajima who is a Japanese singer and voice actress. Just enter the melody and lyrics, and hear Megumi sing your song! It really is that simple, and can be used for any song. Her voice is clear and relaxed, and retain its quality when applied to any tempo. Using Megpoid allows you to create any song with a wide range of parameters, to produce a new female vocal sound. The virtual vocalist GUMI is the character of VOCALOID Megpoid. * Link to Permissions and VOCALOID™ characters guidelines page of INTERNET Co., Ltd.
Megumi Nakajima (born March 5th, 1989) is a Japanese singer and voice actress. In 2007, she auditioned to the Victor Entertainment sanctioned "Victor Vocal & Voice Audition"
and was chosen to voice Ranka Lee in Macross Frontier. After releasing "Seikanhikou" as Ranka Lee's character, she released her songs as Megumi Nakajima. Since her first album "I love you" attracted many people, her fan club was established on June 2011. She won the award for Best Musical Performance in the third Seiyu Awards.